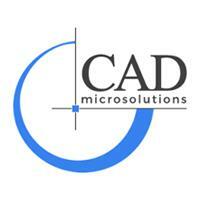 By Jonathan Culm, Applications Specialist at CAD MicroSolutions A lot of people want to define their models’ dimensions using global variables. This is great; global variables allow for a huge amount of intelligence to be included in models. There is one important pitfall to be aware of though. When creating a link to a global variable it is easy to simply edit the dimension to be linked and enter the name of the variable. This would be wrong, no link will be created, and the current value of the variable will be entered into the dimension. If you want a link to be created first enter an equal sign then the name of the global variable, this way a link is created so the dimension will change when the variable is changed. It is easy to tell if the link has been created, a sigma (∑) will appear in front of the value of the dimension to show that there is an equation.